With Easter coming up quickly, you are likely thinking what your holiday celebrations plans will be. Are you planning to have Easter brunch with your family and friends? 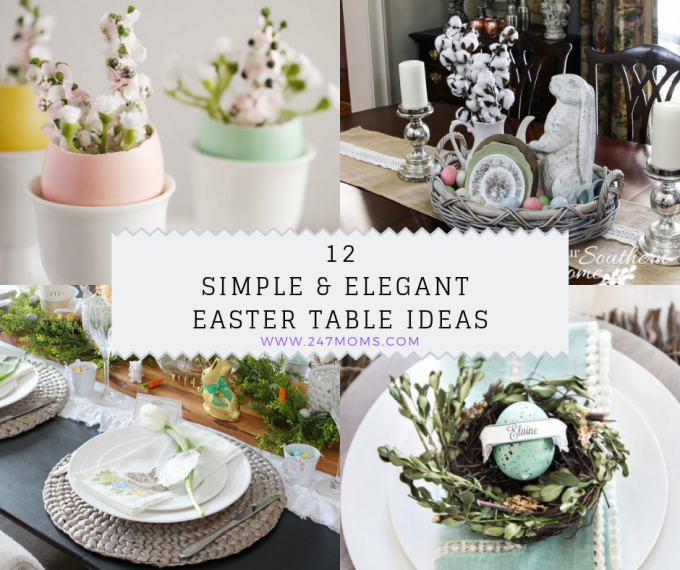 If you are planning to sit at a table, then you might be looking for some gorgeous simple ideas to decorate your table for Easter. 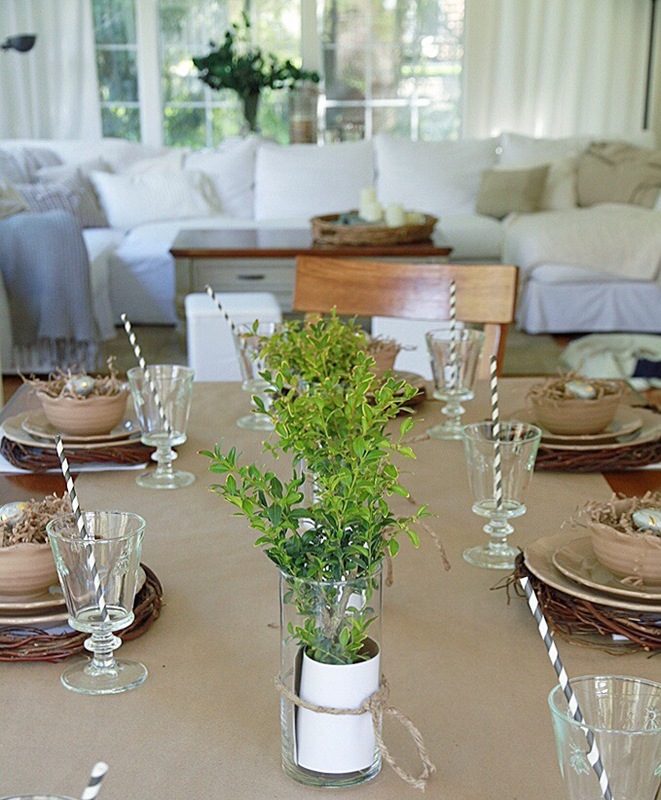 Table decorating for Easter can be both simple and elegant. 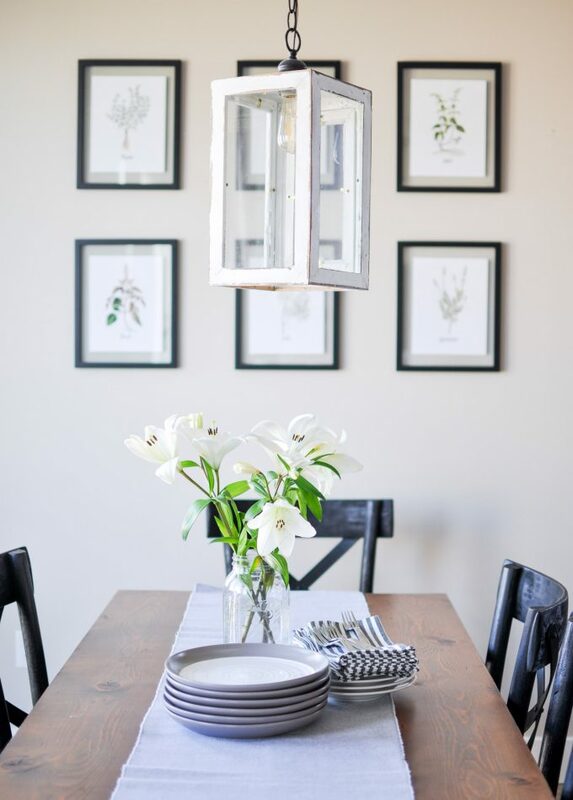 There are plenty of fun décor ideas out there for the big celebration this month. I’ve gathered some ideas I think you all will enjoy. 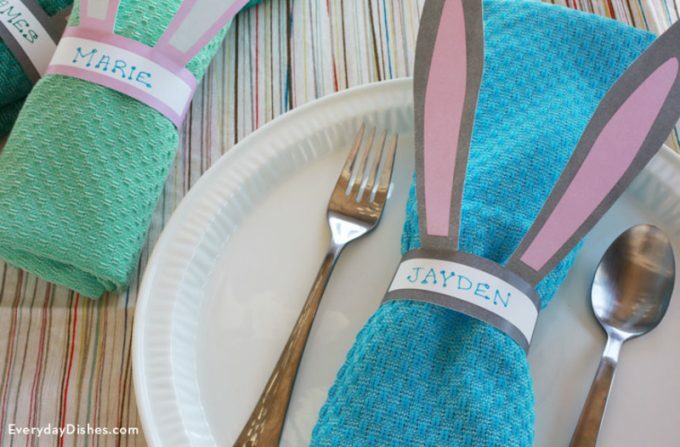 Maybe you will find one that will inspire you to get hopping right over to planning and decorating your table! 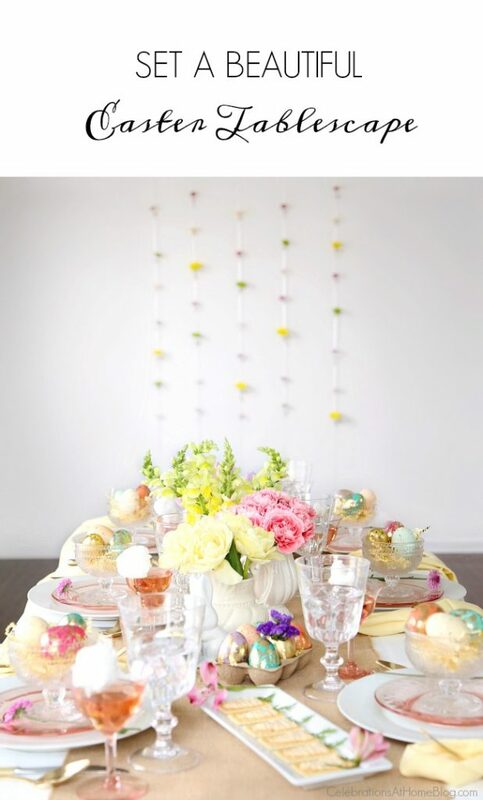 Check out these 12 simple and elegant Easter table ideas! 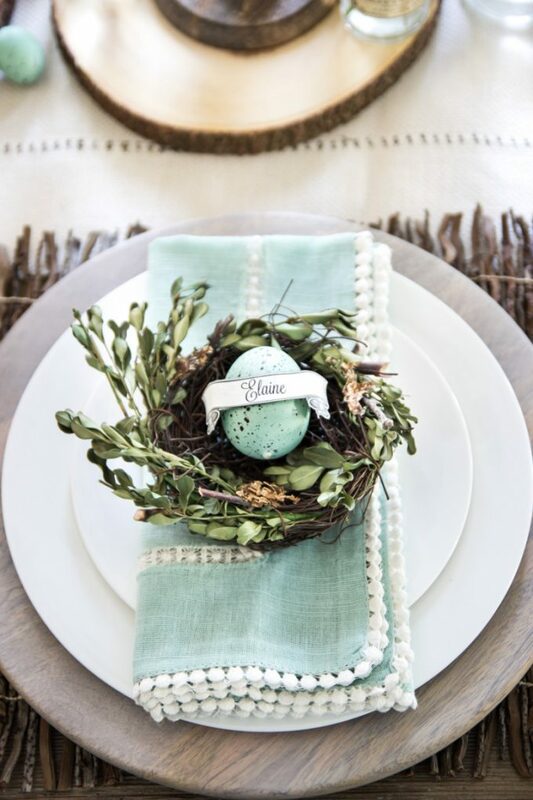 This tablescape is inspired with a spring decor. I love this beautiful robin’s egg! 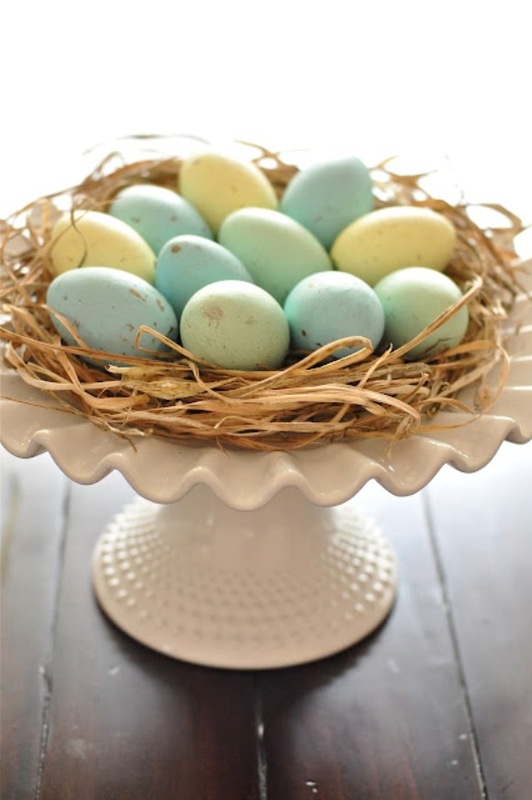 A beautiful, yet simple egg centerpiece that can be used as a gift to family and friends. Use a simple mason jar and arrange some fresh flowers. Use cute Easter inspired napkins and place a fresh tulip over them with a cute Easter printable. A bit of simpleness and elegance! 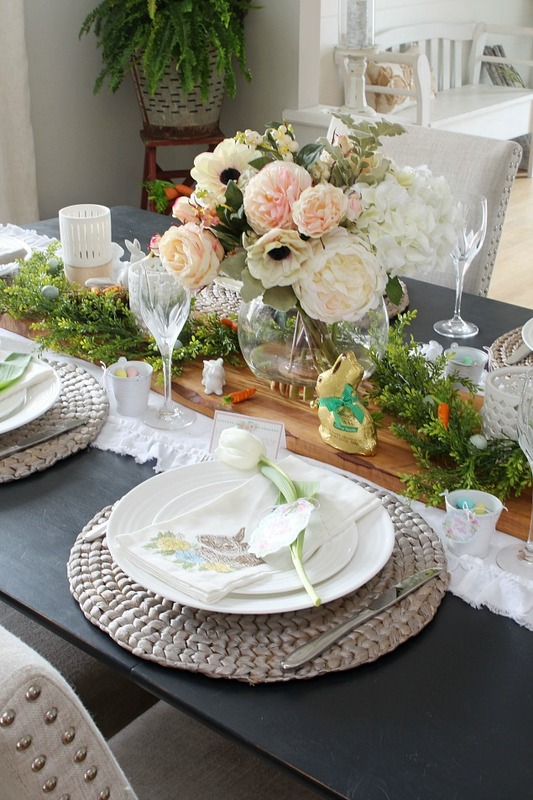 Try one of these 8 decorating tips to create a beautiful Easter tablescape and a tasty meal. Use this printable napkin ring for a quick, easy, and cute idea. You can even write everyone’s names on the napkin ring! 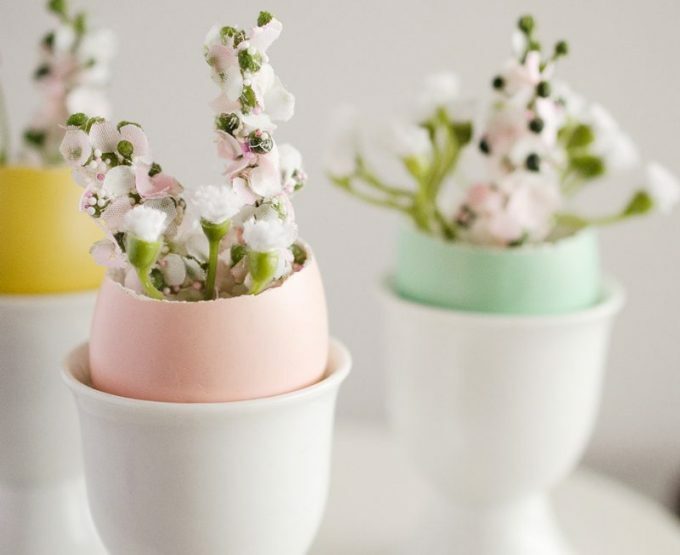 You don’t have to get too fancy and pour a bunch of money into decorating, try these dollar store ideas for Easter. 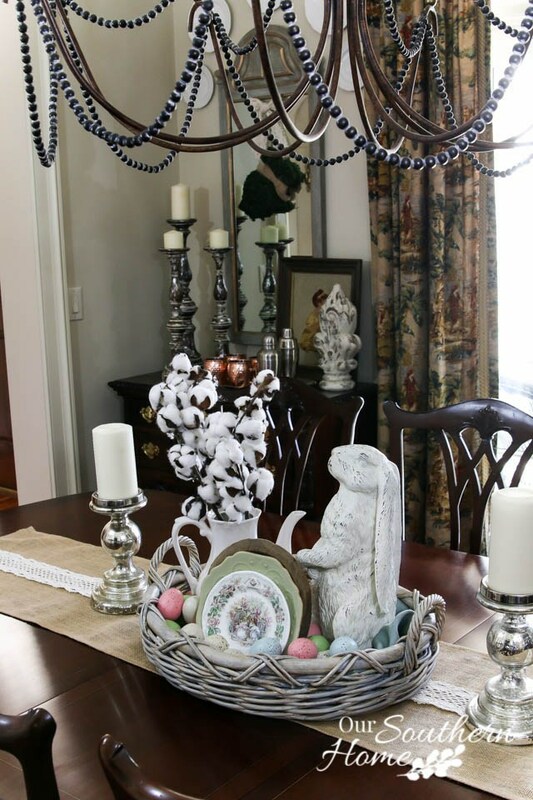 Use a simple wicker basket filled with Easter decor, such as eggs, bunnies, and more to make a simple centerpiece. Paint wooden eggs in pastel colors that are inspired by robin eggs! 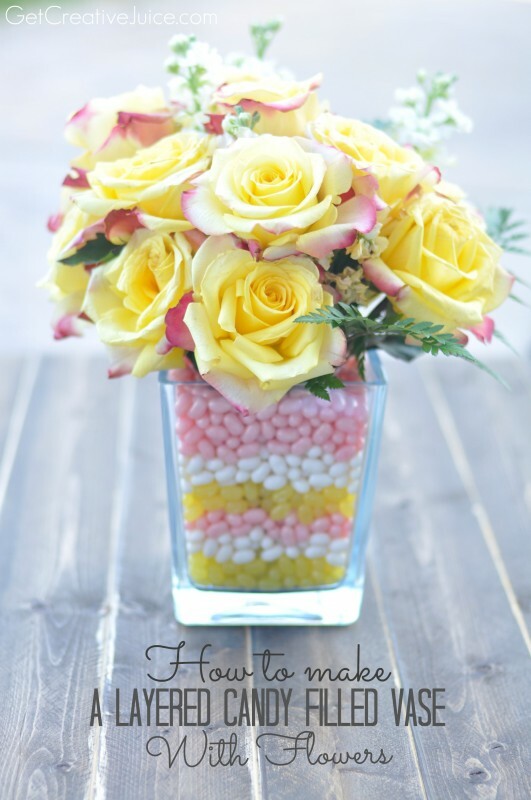 Make a candy filled vase with spring flowers. It makes a tasty treat for guest to take home as a gift. 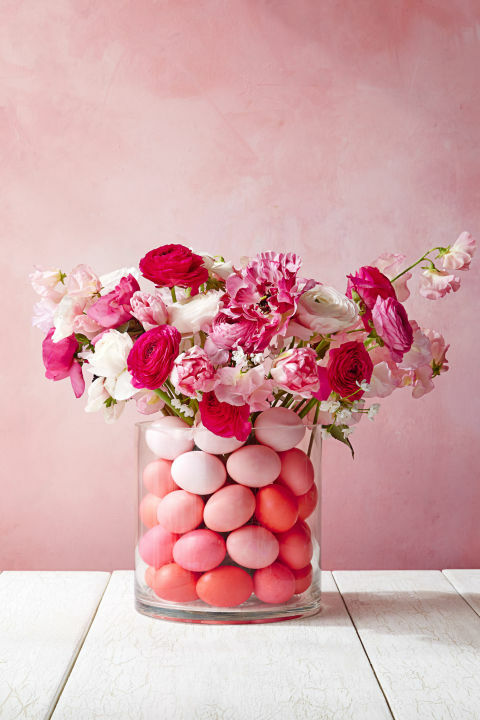 Use ombre color palette eggs to make a simple, yet beauitful egg vase with fresh flowers. 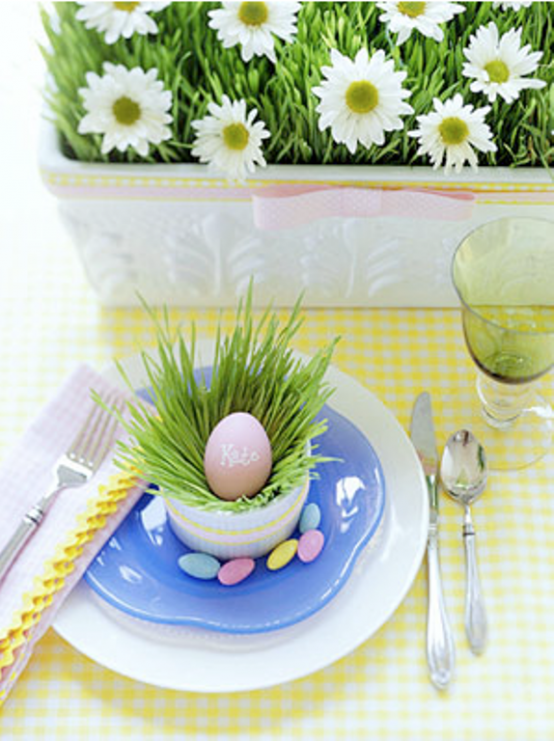 Incorporate pastel colored eggs as name cards, Easter candy, and artificial grass.